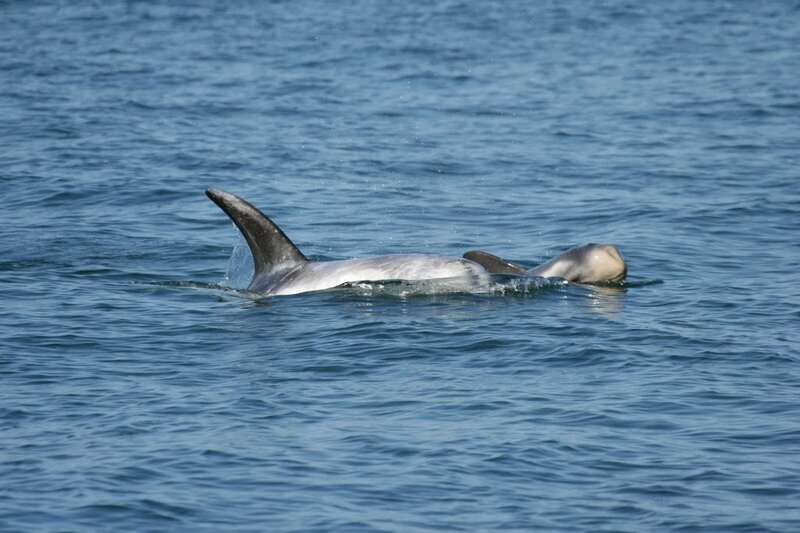 Risso’s dolphins have a distinctive grey body which over time becomes covered in scars. 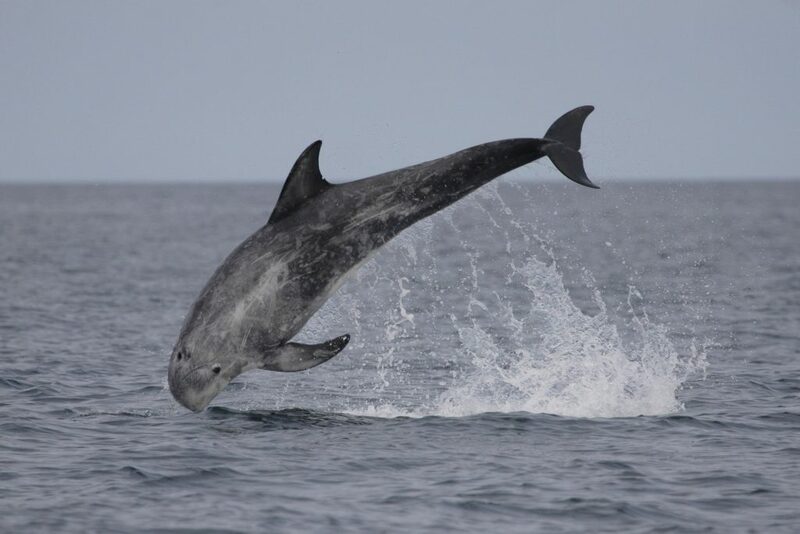 Risso’s dolphins are predominantly deep water lovers and are therefore relatively unstudied, however in several places around the world they can be found within only metres of the coast enabling researchers to learn so much more about them. What do Risso’s dolphins look like? Unlike any other dolphin. 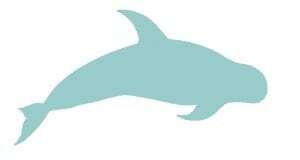 They are very stocky dolphins with blunt heads and no discernible beak. Although they start out in life a grey/olive brown colour, as they get older they get whiter and whiter – a result of numerous scars and scratches from other Risso’s dolphins and their favourite food item, squid! What’s life like for a Risso’s dolphin? Busy and incredibly sociable. Risso’s normally like the company of several other pod mates, sometimes lots, and although they’re normally boat-shy, they can be seen leaping out the water, breaching, tail and head-slapping and generally having a very active time. They’re also seen interacting with other species including bottlenose dolphins. What do Risso’s dolphins eat? Squid, squid and more squid! As with other species of whale and dolphin, what you eat can be determined by whereabouts in the world you live. So although squid is a favourite, Risso’s are also known to eat several types of crab, prawns and shrimp as well as cuttlefish. 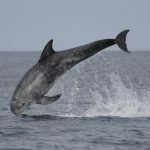 Where do Risso’s dolphins live? Risso’s dolphins can be found in almost all temperate and tropical waters around the world. 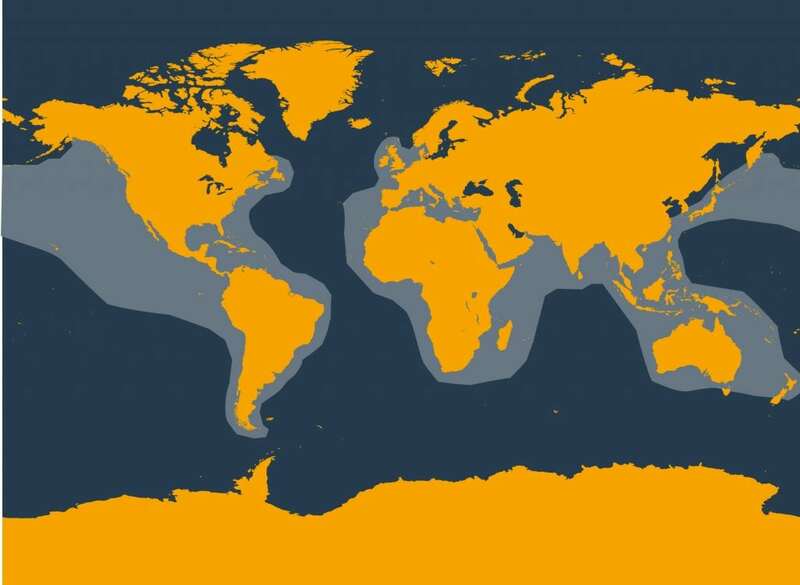 They prefer deeper water and are usually found on the edge of continental shelves however there are several places around the world where they are found much closer to shore, where there are steep drop-off’s or plenty of food. How do you identify a Risso’s dolphin? Individual Risso’s dolphins can easily be recognised by their unique dorsal fins which can be a variety of shapes and sizes and covered in scars and scratches. Most species only breed with their own kind but Risso’s dolphins are thought to mate outside of their own species. 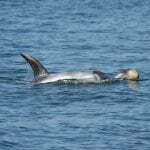 WDC research on the Isle of Lewis in Scotland has identified several possible hybrid individuals that appear to be the offspring of mating between Risso’s and bottlenose dolphins. 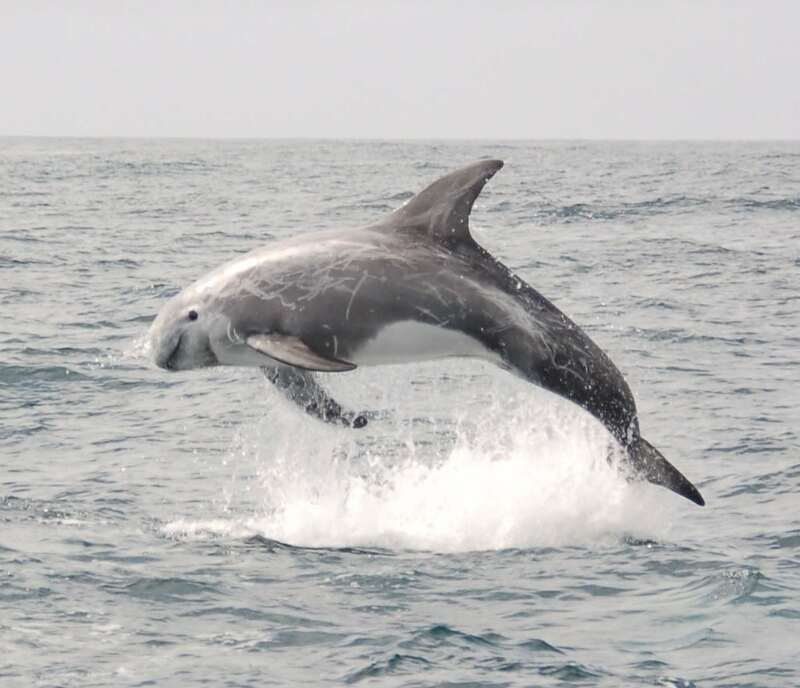 WDC runs two projects in the UK studying Risso’s dolphins. Usually they inhabit deeper, offshore waters so we are very fortunate that Bardsey Island in Wales and the Isle of Lewis in Scotland, offer the chance of close encounters with these dolphins. Both locations appear to be key habitat and the findings from our research are helping to support efforts to obtain greater protection for the dolphins and their homes. 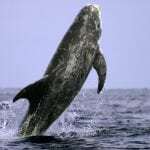 We know relatively little about Risso’s dolphins but they face pursecution in some parts of the world while elsewhere human activities threaten their homes. Hunting – Risso’s dolphin are hunted off the coast of Japan and in several other countries around the world. Pollution – toxic chemicals from plastics, litter and oil spills build up in Risso’s dolphins, seriously harming their health and their ability to have young. 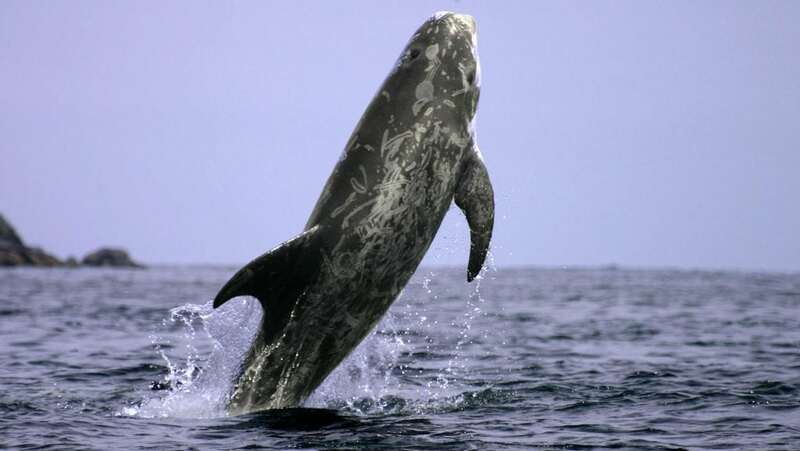 Noise pollution – Risso’s dolphins rely on sound to navigate and communicate. Noise from military sonar, oil and gas drilling and exploration and shipping can disrupt and confuse them and even cause them to strand. Fishing nets and gear – Risso’s dolphins are known to get entangled in creel ropes where they get stuck, suffocate and die.